Greenland’s Glaciers Are Melting Faster Than Expected. See Them in 360°. For centuries, the enormous ice sheet covering the Arctic island of Greenland has been relatively stable. So when NASA scientists realized that Greenland’s glaciers had begun melting much faster than expected, they were puzzled — and alarmed: If all of Greenland’s ice sheet were to melt, it’s estimated that sea level around the world would rise by about 20 feet, putting coastal cities from Miami to Mumbai at risk of catastrophic flooding. Step onto Greenland’s melting glaciers and see the changed landscapes Rignot saw for yourself in Greenland Melting — a 360° documentary from FRONTLINE, NOVA, Emblematic Group, X-Rez Studio and Realtra publishing on YouTube, Facebook, and Reddit. You can also download FRONTLINE’s VR app on Oculus to watch on a Samsung Gear. Filmed in the sky and on the ground in a part of the planet few people will ever have the opportunity to visit, this immersive experience follows Rignot and NASA scientist Josh Willis into the Arctic as they share their research into what’s causing Greenland’s ice to melt faster and faster. A rise in air temperature alone, they say in Greenland Melting, can’t explain the change: Their research suggests that warm, salty currents from the Atlantic are also eating away at the glaciers from below. And that development, they theorize, has helped to bring about sped-up rates of glacial melting in Greenland. Case in point: The largest glacier in Greenland has lost more ice in the last 15 years than it did in the previous 100, shedding 10 miles worth of ice into the sea. Experience Greenland Melting in 360 degrees on YouTube, Facebook, Reddit, Oculus, or as a walkaround virtual reality experience to be released later this fall. 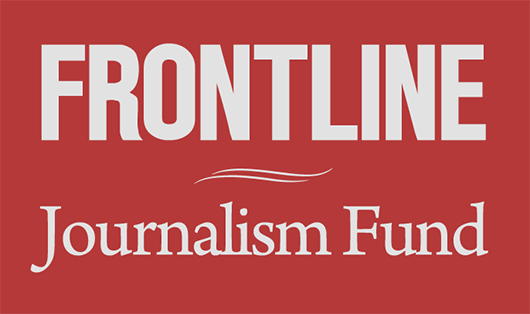 With the support of The Knight Foundation, which also funded Greenland Melting, FRONTLINE and its partners have also just released a new report on best practices in virtual reality journalism that can be viewed here. Aspirational Climate Goal Embraced at U.N. Talks, But Not by U.S.